An Australian Government initiative designed to strengthen ties between Australia and the Indo-Pacific, the Scholarship Program offers recipients a unique opportunity to enrich their learning and global citizenship. Interim Pro Vice-Chancellor, International and Advancement, Dary Milani, said the New Colombo Plan Scholarship Program was an exceptional opportunity for students to enhance their global awareness and broaden their knowledge. “We are very pleased to have an incredible group of students represent both our University and our country in this wonderful initiative,” Mr Milani said. The four undergraduate NCP scholars will head to China, Hong Kong, Japan and Singapore in 2019 to develop their skills in their respective fields, which include environmental policy, business management, civil engineering, and law. Among the Newcastle recipients is Bachelor of Laws/Bachelor of Aboriginal Practice student, Odette Brown, who is one of just six students selected nationally to receive an Indigenous scholarship sponsored by QBE Insurance. The key goals of the NCP are to lift knowledge of the Indo-Pacific in Australia, deepen Australia’s people-to-people and institutional relationships with the region, establish study in the Indo-Pacific as a rite of passage for Australian undergraduates and increase the number of work-ready Australian graduates with diverse working experience. 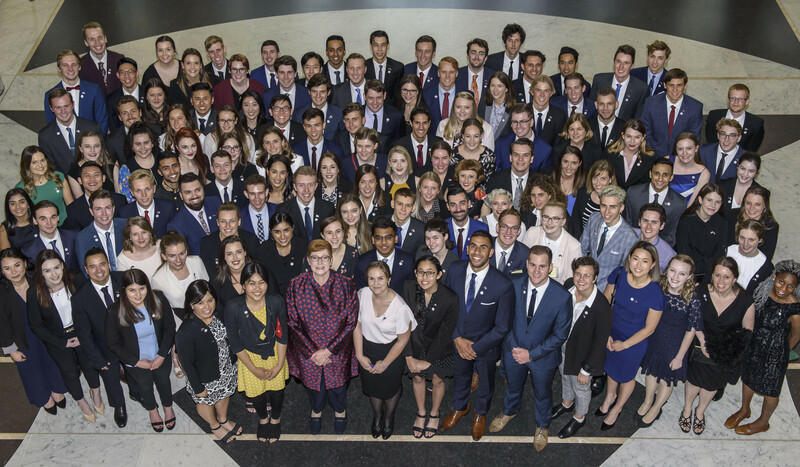 The successful scholars were announced by Senator the Hon Marise Payne, Minister for Foreign Affairs and The Hon Dan Tehan MP, Minister for Education on Monday 26 November in a ceremony at Parliament House, Canberra. Jack will study International Business Management at the Chinese University of Hong Kong. Jack hopes to undertake an internship with a sporting organisation in China such as the Royal and Ancient Golf Club or Suzhou Junior Golf League. Travelling to Hong Kong, Josiebel will study at Civil Engineering at Hong Kong Polytechnic University and plans to intern with an organisation that develops sustainable solutions for urban living. Odette, who is the recipient of the QBE Indigenous scholarship, will travel to Japan to study Legal Studies at Waseda University. Odette hopes to undertake an internship with the United Nations Development Program. Kelsey will study Environmental Science at Nanyang Technological University in Singapore. Kelsey plans to undertake an internship with the United Nations Economic and Social Commission for the Asia Pacific in the Environment and Development Policy Department.